Home > Travel guide > Hue is a "Kyoto of Vietnam"
The city is divided alongside a large river, and has an abundance of beautiful things to see, delicious foods to eat, etc.. Join along on our adventure in Hue, Vietnam! As a place to save the memory of the nation, Hue has brought the majestic appearance of the old city, as beautiful as the gentle girl charming tourist. This fascinating town, steeped in history, appears to be suspended in a period of time which cannot be defined by a number alone. Neither in the present day nor stuck in the past, this fascinating city tells the story of hundreds of years preserved in brick and stone. 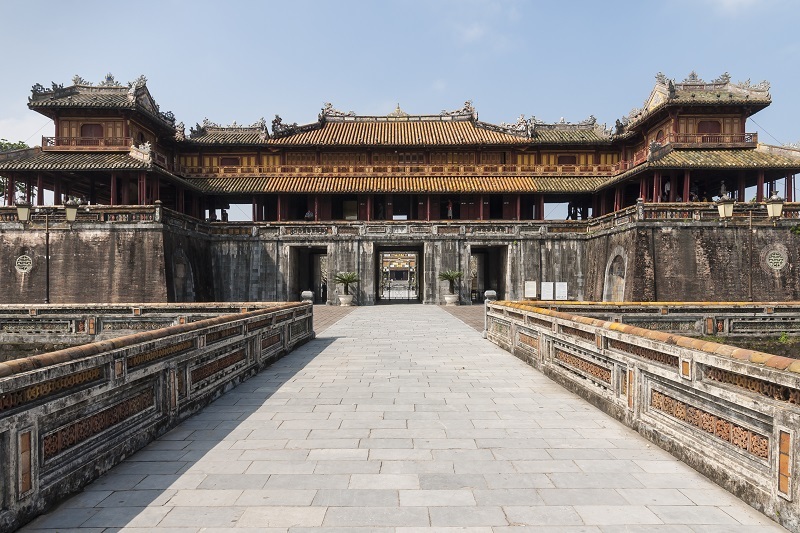 Hue has been the cultural, political, and geographical epicentre of Vietnam. It has lived through times of great eminence and great turmoil, and today the city has a beautiful yet solemn romance encased in its walls. Although the turbulent past is clearly etched on the scarred buildings, a little searching will be rewarded with the untold stories that hide in the moss covered stones and the mildew plagued walls. Referring to Hue, people often think of palaces, king's tombs and ancient temples with interesting old stories about the ancient emperors. Once in the life, each Vietnamese wish to travel to Hue to see the vivid evidence of the last feudal dynasty. Beside that, the relaxed and gentle beauty or slow life styles here are also loved by many tourists.The ancient Hue Imperial City, unique Trang Tien Bridge, sacred Thien Mu Pagoda or romantic Huong River are tourists spots that always attract visitors in and out of the country. 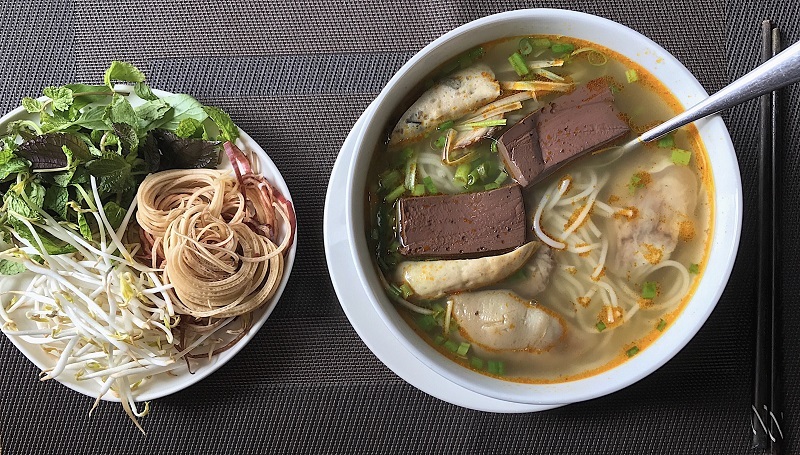 Hue is a big city; there are food options everywhere you turn, with an array of options including many different cuisines, coffee shops, high-end prices, mid-range prices, budget, and vegetarian. As far as local cuisine, there is a famous dish named Bun Bo Hue; a noodle soup with sliced beef and chilli oil. A local treat is sesame candy; sweet, chewy peanuts, delicious when fresh. There is a local food market, Dong Ba with an array of stalls and local dishes. Just be sure to stick to the menu, if anything else is sent to the table, send it right back! Dong Ba is known for hitting you with much larger bills than you’re expecting. 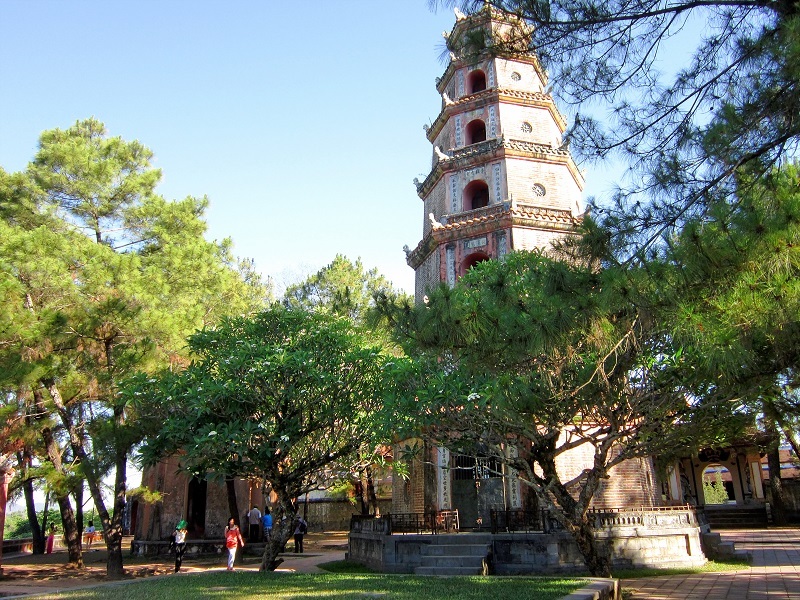 Hue City Tour is one of the impressive products to bring you the exciting experience in ancient capital. Combine Hue with other famous destinations such as Da Nang or Hoi An to have a perfect Vietnam packages tours.